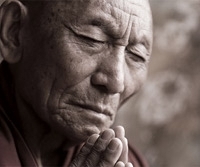 Palden Gyatso, a Tibetan Buddhist monk since childhood, was arrested by the Chinese communist army in 1959. He spent the next 33 years in prison for the “crimes” of demonstrating peacefully and refusing to falsely denounce his teacher as an Indian spy. He was tortured, starved and forced to perform hard labor. He watched his nation and culture destroyed, his teachers, friends and family displaced, jailed or killed by the Chinese occupiers. Despite this, he remained unbroken, keeping the flame of his spirit ablaze.